You may be wondering how much in SSDI or LTD benefits you can receive if you qualify for disability. The way they determine amounts can be confusing – a disability lawyer explains. How does the Social Security Administration and private Long-term disability companies determine disability benefit amounts? If you have or are attempting to secure disability benefits from the Social Security Administration or from a private Long-Term Disability insurer you may be wonder how much you can receive and how that total is determined. Social Security bases disability benefits on the amount of income a person has earned on which they have paid Social Security taxes before they became disabled, not the severity of a disability or the applicant’s current income. This income is called “covered earnings.” The amount of benefit is different for each individual, but the average monthly amount received in 2018 is $1,196 with a maximum of $2,788. 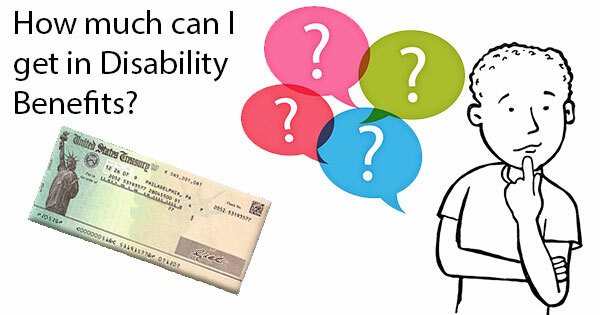 Social Security uses a complex formula to calculate the amount of an applicant’s disability benefit. First, Social Security will determine whether an applicant has the minimum amount of covered work or work credits to qualify for benefits. The dollar amount to earn one work credit is calculated annually; to earn one work credit in 2018, you must earn $1,320, and the maximum amount of credits a person can earn is four credits per year, or $5,200. The number of work credits needed to qualify for disability depends on a person’s age at the onset of a disability, but is usually 40 credits (or 10 years), 20 of which must have been earned in the last 10 years. 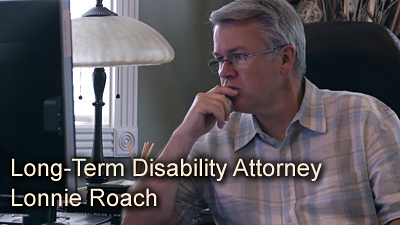 See our page on requirements to qualify for SSDI. https://www.brrlaw.com/practice-areas/social-security/social-security-disability-insurance-qualifications. Your average earnings are called your Average Indexed Monthly Earnings (AIME). Social Security uses up to 35 of a person’s working years with the highest indexed earnings, adding them together and then dividing them by the total number of months for those years. This calculation is then rounded down to determine a person’s AIME. Social Security then uses a person’s average indexed covered earnings over a period of years to calculate their Primary Insurance Amount (benefit amount) or PIA. This is the base figure Social Security uses to set a benefit amount. In 2018, 90% of the first $895 of average covered earnings is added to PIA, plus 32% of average covered earnings from $885 to $5,397, plus 15% of average covered earnings over $5,397. Totaled together the amounts equal an applicant’s PIA. It is important to note that other payments you receive may affect your benefit amount. Disability payments from private sources such as pensions or insurance do not affect Social Security Disability benefits. However, Workers’ Compensation or public disability payments may affect a payment amount. Workers Compensation are benefits paid to a worker due to a job-related injury or illness and can be paid by federal or state workers’ compensation agencies or employers or insurance companies on behalf of employers. Public disability payments are paid by federal, state or local governments for disabling medical conditions that are not job related. If an applicant receives some form of public disability benefits as well as SSDI (including payments to family members), the total amount of the combined benefits cannot exceed 80 percent of the applicant’s average current earnings before they became disabled. Any excess will be deducted from the Social Security benefit. You can get an estimate of your Social Security benefits online by logging into your personal Social Security account or using Social Security’s benefit calculator. The calculator works on PCs and Macs and displays both projected retirement benefits and disability benefits. Simply enter your birth date and the age at which you stopped working and enter the amount of covered earnings for each year since 1951. The calculator will display your benefit in today’s dollars or future dollars and are updated periodically with benefit increases. The amount of a benefit payment from a long-term disability insurance company depends on the policy and plan. Most long-term disability insurance plans pay 50% to 80% of the policy holder’s monthly salary before the onset of the disability. Some insurance policies will include bonuses, commissions and overtime, when calculating pre-disability income, while others consider only base pay. A cost of living increase may raise the benefit amount over time, provided a cost of living rider is included in the policy. Like SSDI, other payments and income can decrease the amount of benefit from a long-term insurance policy. This is common in group policies, but less so in individual policies. If you are approved for SSDI – and almost all group LTD insurance policies require the applicant to file for SSDI – the amount of SSDI payment you—and often your dependents receive will reduce the amount of your monthly LTD benefit. For example, if you receive a monthly LTD payment of $1500, and you also receive SSDI in the amount of $1100, the long-term disability benefit will be reduced to $400 (or $1500 minus $1100). Most group policies contain a minimum benefit amount. If your SSDI benefit equals or exceeds the amount of your LTD payment, then you will only receive the minimum benefit. Most employer-provided long-term disability insurance policies are paid before taxes, so long term disability benefits are taxed. If an individual purchases a policy with after-tax dollars, however the LTD benefits are not taxable. If the policy holder shared the premium costs with their employer, only the portion of LTD payments attributable to the employer’s premium is taxed as income. It is easy to make a mistake when considering filing for benefits under group policies. One of the most common errors is quitting a job before filing for LTD benefits because you are unable to work. Under most LTD policies, coverage ends when employment is terminated, so if a policy holder quits, they will not receive benefits. Some workers request reduced hours or a less stressful (i.e. lower paying) job when they become ill or injured. LTD payments are calculated on pre-disability salary, so changing to a lower paying position before filing for LTD could reduce the amount of LTD benefits. Finally, most LTD policies initially define disability as the inability to perform one’s own occupation. Transitioning to a less strenuous job before applying for LTD benefits may make it harder to be considered disabled. A qualified disability attorney, experienced in SSDI and LTD benefits, can ensure that you are getting the benefit amount you deserve. Can I receive two sources of disability?